This is where press releases on COELAN Boat Coating are, including information on write-ups and test results reports. COELAN Boat Coating has been rated the world's most effective and durable varnish. This is from the short - term and long - term results from tests that have been done by yacht and ship manufacturers including other stakeholders in marine industry. The tests reveal that COELAN is a robust, long - lasting product with superior traits. Boating magazines have explained how COELAN Boat Coating's performances under harsh environments, where surfaces are exposed to the elements continuously, are. Tests done by Classic Boat Magazine assessed COELAN Boat Paint's performance for a duration of many years comparing it with many other finishing products in different conditions. Various tests were done, with manufacturer's directions being followed closely. The first tests were conducted in UK and other tests were done under harsh conditions in tropical oceans. 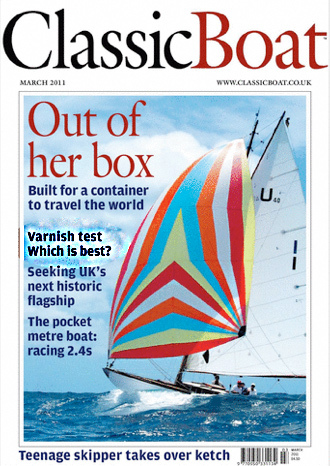 Class Boat Magazine found out that COELAN Boat Coating did impressively. The coating remained undamaged and weathered well for duration of many years while retaining gloss and translucency. 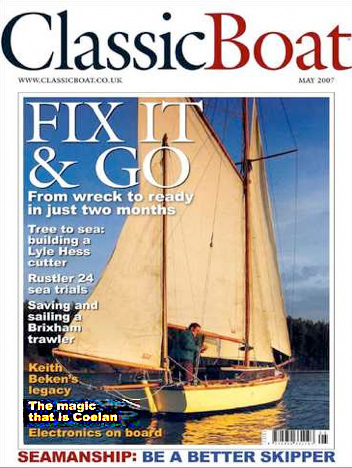 Classic Boat Magazine's tests that were conducted for a long-term showed that many products from the competitors required refinishing after about two years. COELAN, on the other hand, remained undamaged and good-looking even after seven and a half years of continued exposure to harsh elements. The excellent performance of COELAN has made it popular among private boat owners and boat builders. Top-notch blue-water-sailing yacht builders that include Oy Nautor AB of Finland, the manufacturers of Nautor's Swan, line of fiberglass yachts, and Hallberg-Rassey of Sweden, decided to choose COELAN, specifically because of its extraordinarily durability and high quality. Applying COELAN Marine Coatings on vessels that are heavily worked and continuously exposed, for example public transport vessels, such as, commercial ships, luxury charter yachts, and cruise liners, can lead to large savings in form of maintenance labor costs and materials. The reduced need to maintain and recoat the surfaces makes COELAN an environmentally friendly product.